Crytek have decided that, on reflection, Ryse: Son of Rome might be Better without Kinect. The developers will self-publish a digital version of the Xbox-exclusive barbarian-biffer on PC later this year – while publisher Deep Silver will distribute a boxed version. 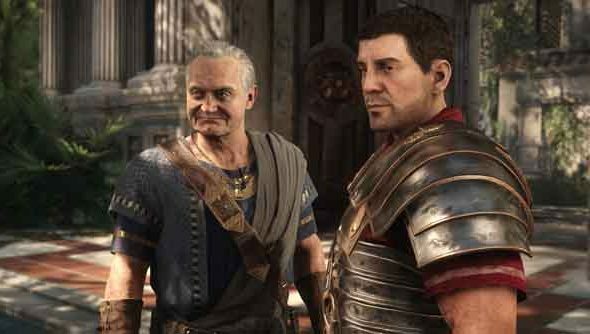 The PC version of Ryse will support 4K resolutions, and comes with all of the game’s DLC to date: the Colosseum Pack, Mars’ Chosen Pack, Duel of Fates Pack and Morituri Pack, as well as the Ruins multiplayer map and Legionnaire’s Trust sword included in its special edition. “4K gaming is another leap in graphics quality for PC gamers and Ryse is the perfect showcase for what’s now possible in high-end PC games,” said Crytek business development man Carl Jones. Jones said Crytek expect Ryse to be a “benchmark” for PC graphics this year, and “probably for a long time in future”. “Our community asked for a Ryse PC version, and we have the means and technology to deliver this title with the highest quality possible,” he said. Crytek cancelled a deal for Ryse 2 with Microsoft after refusing to give the publisher the rights to the series. The developers recently sold Homefront: The Revolution to Deep Silver to overcome their financial problems – but kept hold of Crytek UK’s Timesplitters license.